Metro Nashville’s new fire station has officially been certified LEED Platinum, making it the first fire station in the Southeastern U.S. to achieve this level of certification. Fire Station #19 as it is known in Nashville, has also been awarded a Governor’s Environmental Stewardship Award by Tennessee Governor Bill Haslam. At a reception announcing the honor, Governor Haslam stated, “These organizations represent the spirit and drive that make the Volunteer State great. 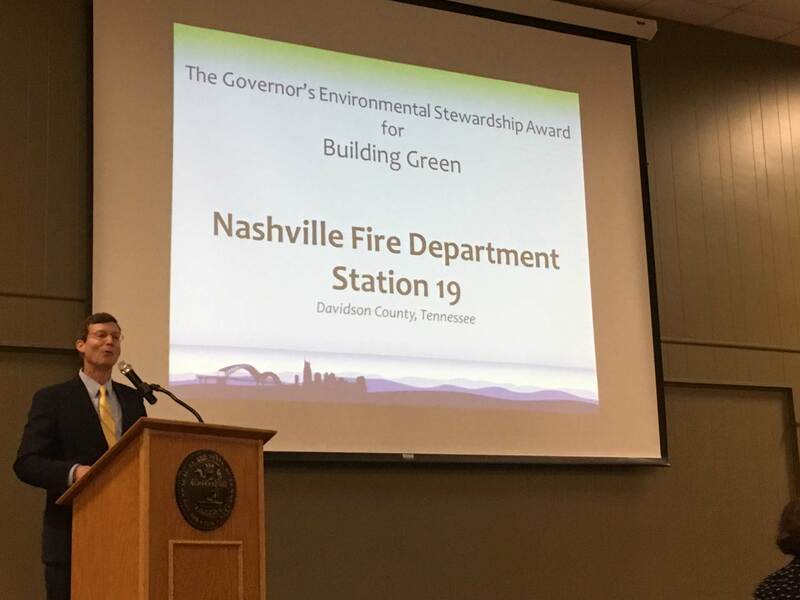 I thank all of the winners for their individual contributions to the environment and for keeping Tennessee a beautiful state in which to live and work and to visit.” Fire Station #19 was a joint venture with Green Studio Sustainability Consulting.